Home gym equipment offers the most complete workout, allowing you to perform almost every type of weight training exercise without having to leave the home. To help you find the best model for your needs, here are our top five best home gym systems in 2015. A durable home gym in the affordable mid-range, the Body Solid EXM1500S offers great build quality and reliable performance. By adding a low row off to the side of the machine rather than the front, Body-Solid has help cater to home users with a lack of space and made adjusting the weight stack simple as a result. An extra cable attachment just above the bench for the mid-row is also a nice touch and offers an excellent ab workout. Anyone that wants to lift heavy, however, will be let down by the fact that the weight stack only hits 160 lbs. 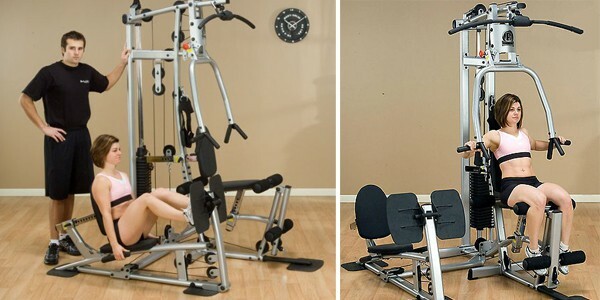 Next up in our list of home gym reviews is the Powerline P1LPX, a great entry-level machine featuring a pre-welded frame and ergonomic joint and pivot design for a comfortable workout. 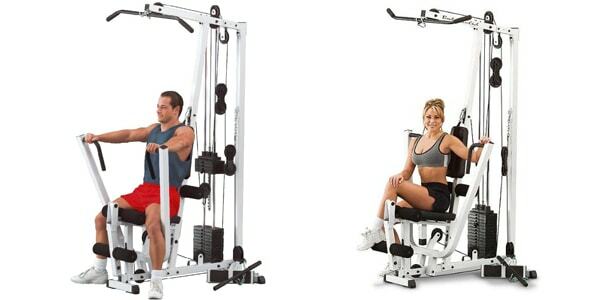 The great benefit of this gym is the included leg press – something that is not common on systems in this price range. Powerline’s 10-year warranty on frame is also a great positive. Downsides are the fact the weight stack is only 160 lbs. (it can be upgraded), and a confusing set of instructions. 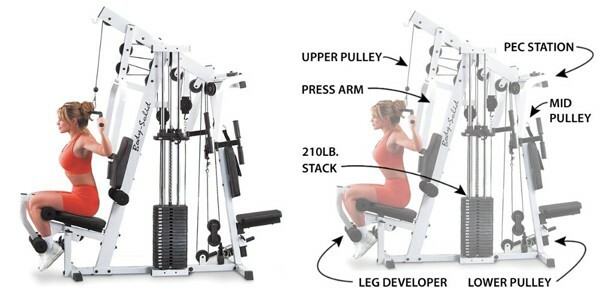 Powertec has a reputation for making serious equipment for dedicated lifters and the Levergym is a solid piece of equipment. This gym is completely safe to use without a spotter and is very stable on a bare concrete floor. 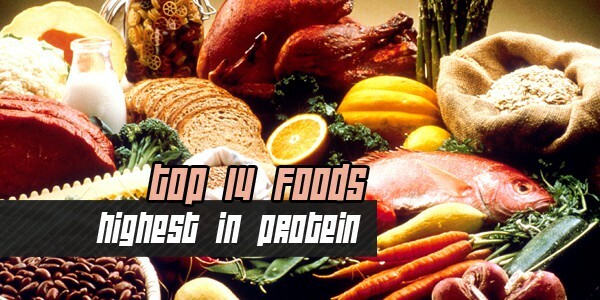 Powertec markets this home gym as having twenty essential strength training exercises built in and each one is easy to complete for a great workout. Like the Powerline, instructions are lacking and assembly is complicated – both of which are slight drawbacks in an otherwise good piece of equipment. Offering over 70 exercises and an upgradable 210 lbs. 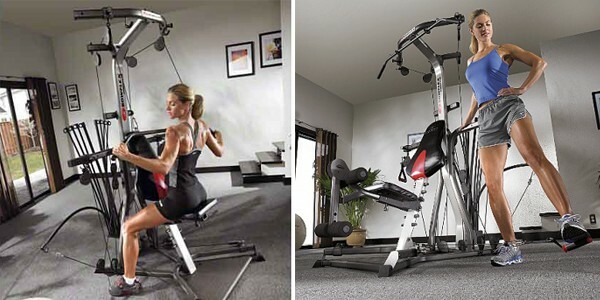 of power rod resistance, the Bowflex is definitely one of the best home gyms on the market. This 2013 version in particular has a high quality build and simple design that makes moving between exercises simple. The range of motion for some of the exercises is slightly limited and leg extensions can be tricky to adjust, but these are only minor flaws in an otherwise top piece of kit. The second Body-Solid machine on the list and our best home gyms of 2015, the StrengthTech is considered by everyone that uses it to be a remarkable engineering achievement. No other home gym offers this level of complexity at such an affordable price and workouts are super-smooth with no complication. This is simply a low maintenance, easy to use gym that provides quality workouts to every muscle group. A great product. really great article here. thanks for sharing!